It’s no secret that gambling can be addictive. That’s not to say that if you gamble you’ll automatically be addicted to it. But those with addictive personalities might fall victim to the adrenaline rush that gambling provides. This is true with live gambling and online. And for the most part, casinos don’t do much to help problem gamblers. At Palace of Chance, we have mechanisms in place to help problem gamblers stay away from our casino. Players can self-exclude themselves. They can work with us to reduce their betting limits. They can even shut off real-money play and leave the free games option open if that will help. We don’t claim to be the only online casino that does this. 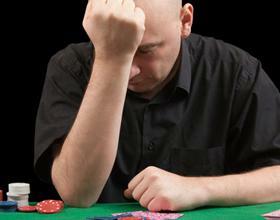 The truth is all reputable online casinos have some sort of self-exclusion program in place. And because everything happens on the Internet, things are way easier to track. But at live casinos, it’s a lot harder. You could very well self exclude yourself from a casino, but your photo isn’t likely up on a casino wall when you enter the premises, so it’s easy to get to the tables. And if you look a lot older than 21 (or 19 in Canada) chances are the dealers won’t be asking you for ID, neither will the casino security entrance staff. That’s got the British Columbia Lottery Corporation in Canada in a bit of hot water. A court has ordered them to pay back hundreds of thousands of dollars to problem gamblers whose jackpots were withheld because they won them participating in a self-exclusion program. Basically, several people go themselves on the self-exclusion list, but violated it anyway. They decided to play at the casino and there were no mechanisms in place to keep these players out, even though they identified themselves as problem gamblers. But these players didn’t have much of a problem at the slots. Instead, they won tens of thousands of dollars each playing those one-armed bandits. But the BCLC decided to withhold those winnings, arguing that they don’t deserve the money because the self- excluded themselves. Here’s the deal, though. The BCLC can’t have it both ways, so the court decision to award the jackpots is more than fair. Earlier this year, a BC gambler sued the casino for $78,000 because they were on the self-eclusion program and the casino failed to stop them from playing. The judge tossed the lawsuit out, arguing that the gambler was the author of his or her own misfortune. I guess in the awarded jackpot cases, the gamblers are the authors of their own good fortune, so the casino clearly don’t have a leg to stand on.